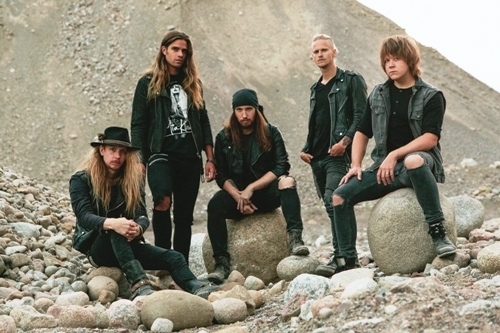 Swedish hard rock band H.E.A.T begin the UK leg of their European tour at Wolverhampton Slade Rooms on November 17, 2017. The shows will promote the group's new fifth studio album, Into The Great Unknown, which was released on September 22. 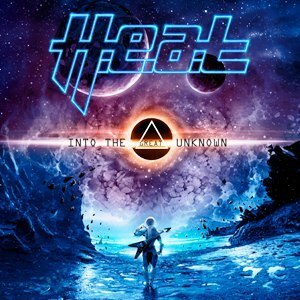 With original guitarist Dave Dalone (aka Sky Davis) back in the band, having left in 2013, H.E.A.T recorded Into The Great Unknown, the follow-up to 2014's Tearing Down The Walls, in Thailand with Grammy award-winning producer Tobias Lindell. "During the making of this album, I think we all felt a little bit like astronauts going off to space for the first time," says Dave. "We set out on a journey not knowing what we would come back with, or if we'd even make it back. Somewhere along the way, the pieces began to fall into place. There's just no point in doing the same album over and over again just because it works. When it all comes down to it, you want to make the songs shine to their full potential. If that includes bending the rules of the genre or crossing paths into unknown territory, so be it." The line-up is completed by vocalist Erik Grönwall, bassist Jimmy Jay, keyboardist Jona Tee and drummer Lars Jarkell, aka Crash. 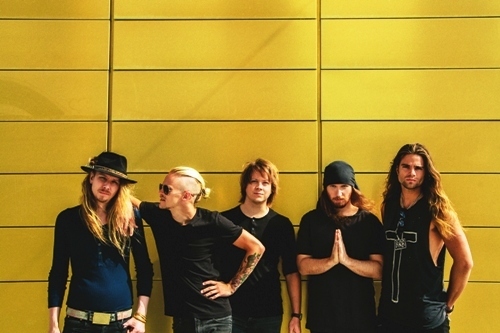 "The title Into The Great Unknown suits the album for many reasons," says Crash. "The plan, to focus entirely on the song writing and to not do a live show until the new album is out, was a new thing for us. We had never done anything like it, how do you 'not' play live for two years? We had been doing live shows since we were kids. ''Another leap into the great unknown is the music itself, with no limits and elements never before seen in H.E.A.T. The album cover is once again created by Russian artist Vitaly S. Alexius, and is inspired by the mystical space, the greatest unknown known to man." Nov 21: Islington Academy, London.